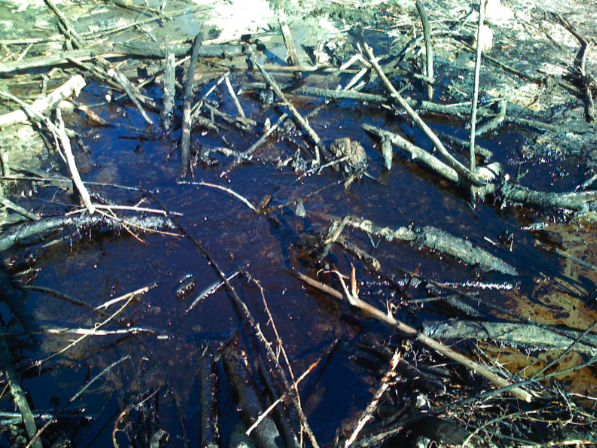 Fancy a trail with oil bubbling from the ground? 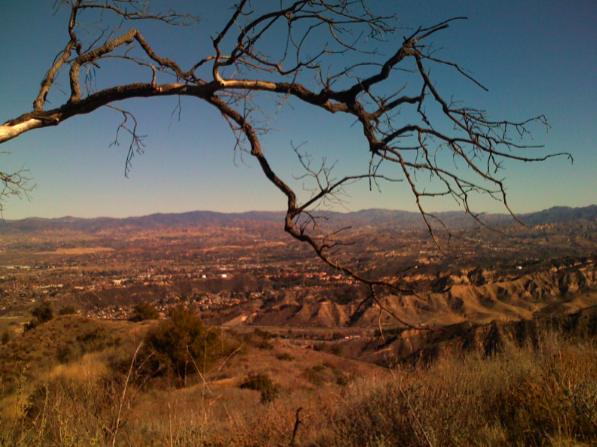 Towsley Canyon is a park on the edge of Santa Clarita, just off the 5 freeway. It’s a lovely place, full of beautiful flowers in the springtime, but my favorite features are the small oil seeps scattered amongst the hills. Once a commercial oil field, there’s now just a few rusty derricks and some natural springs of oil slowly bubbling to the surface. I never believed the title sequence of the Beverly Hillbillies could be real, but you can see it here! There’s also a miniature version of the Zion narrows, with a small but spectacular canyon carved out by occasional heavy flooding. The main trail there is a 5 mile loop, that climbs about 800 feet. It’s got sections with a 30% grade on the east side, so I recommend taking the counter-clockwise direction where there’s some gentler uphill grades thanks to some switchbacks. It’s popular with bikers and runners and is a good place to take your dogs, though you’ll need them leashed. Here’s a map showing the main loop, and a shorter variation you can take. To get there from LA, drive north up the 5 until the Calgrove exit, and turn left at the stop sign at the end of the ramp. About 1/4 mile along that road you’ll see a sign for the Ed Davis Park on the right. You can either park on the street lot which is free, or drive in a few hundred yards and pay $5 for one of the interior parking areas. Head north along the fire road, going past the visitor’s center and ranger’s accomodation. You’ll pass a concrete dam, and then go through the Narrows on the streambed, and eventually hit a spot where the trail turns uphill. After this, there’s some well-planned switchbacks, but it’s still hard work getting towards the top. Luckily, the trail is kept in great condition by a dedicated crew of volunteers. Liz and I just returned from a day working with them, and came home with some scrumptious fruitcake as a Christmas gift! It should be fairly clear which way to go as you hike along the trail, there’s not much vegetation growing in, the tread is in good shape, and there’s few unofficial side-trails to confuse you. Be careful if you go in the summer, there’s little shade and can get extremely hot, so make sure you bring plenty of water. My favorite time to visit is the spring, thanks to the cool weather and wonderful wildflowers that appear after the rains, including some gorgeous Chocolate Lilies. You’ll reach a peak of around 2200 feet, and then start heading downhill fairly gently. After around a mile, it will start to get a bit steeper, culminating in a 30% grade section (marked on the map) that seems to head straight down the hill. Thankfully it eases up after that, and you’ll soon pass the largest oil seep, usually with lots of sticks left poked in it by curious children. After that, you’re less than a mile back to the parking lot. « Are Whitehouse emails wide open to hackers?